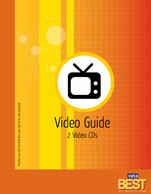 Following are the contents of Veta Best which give an idea of what Veta Best has to offer. This module is useful for beginners as well as intermediate learners. There are about 10 lakh words in english. But to speak English fluently we need only 1500 words. 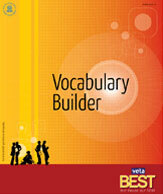 The Vocabulary Builder builds a defining vocabulary of 1500 words essential to speaking English well. Apart from the list of words we use every day, we also learn the usage of these words. The units give the usage of the words with examples we can easily relate to. This module helps the learner with the nitty-gritty of grammar and usage. But why do we need to know grammar in spoken English? We have been to school and have learnt grammar. But, does that help us to speak English fluently? No. Then why learn grammar? Well Masterjee tells us not about �grammar� but about �functional grammar�. It is a kind of ready reckoner that tells the learner the difference between �a few� and �few� �has been� and �had been� and other such things. It highlights the commonly made mistakes and tells us how to correct it. Apart from educating us on functional grammar it also improves our letter writing skill and hones our ability to use idioms and phrases. 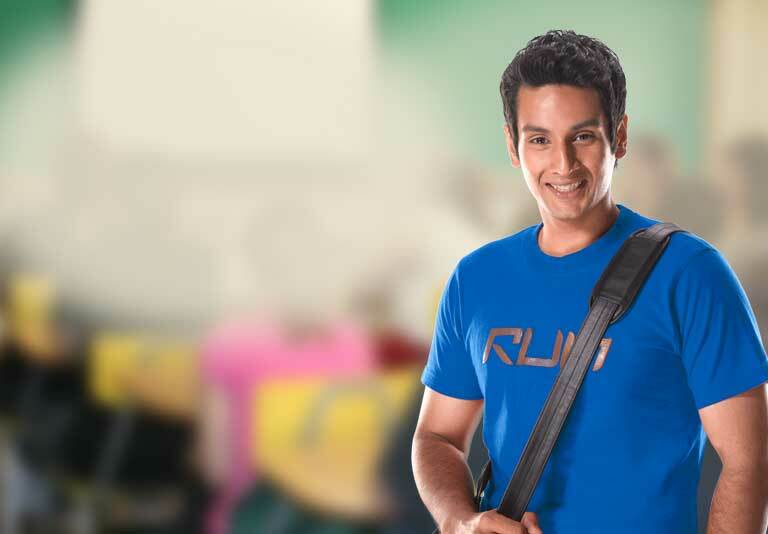 So, in brief Masterjee sets us on the fast track path of speaking English. 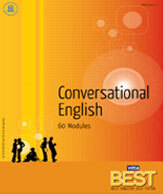 A pack of 60 cards forms the base of the conversational English module in Veta Best. Each card helps you to master a particular topic with simplicity through a deliberate pace. With the help of one card per day Conversational English becomes easy to master. How do you introduce yourself? How do you ask for information? How do you report a statement or instruction? How do you tackle questions at a job interview? What do you speak at a Parent-Teacher association? The cards take up everyday situations like these and empower you to speak English fluently and confidently. These cards help you to master a particular topic with ease before moving on to the next one. Besides, two audio CDs which accompany this module, help you in pronunciation and intonation of the sentences given in the cards. 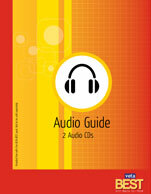 The audio CDs keep your pronunciation in tandem with delivery as per international standards. How do you pronounce words correctly? How do you intonate a sentence? How do you show politeness in your language? 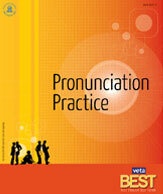 All these questions will be answered by the Pronunciation Practice module of Veta Best. The Pronunciation Practice module comprises of two video CDs which will help you to acquire the correct pronunciation and intonation. Each unit has a video module with a written transcript. This makes it easier for the learners to follow the correct intonation and modulation and even helps them to practice conversing in different situations. They also get a chance to observe the spectrum of gestures made while speaking and thus becoming more confident and wholesome while speaking. It is time now to raise the bar and step up to a higher platform in spoken English. You are already quite an expert. So, isn�t it time to step up the pace? This module teaches you the fine art of manipulating the language to achieve your ends. Be it persuading someone or entertaining someone, the finer shades of language usage are dealt with in this module. Humour, tact, persuasiveness, understatement�how these are worked out in English is what you will learn from this module which is a kind of a tour through the finer shades of English. You are ready to showcase your skill on a stage in front of an audience. What forms of language you use on stage? 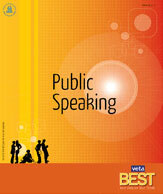 What is effective public speaking? This module introduces rhetoric to you. It analyses speeches so varied as Swami Vivekananda�s first address at the Parliament of Religions in Chicago to Winston Churchill�s to Jawaharlal Nehru�s and the amusing speech �The Art of Catching Suckers�. The module focuses on higher vocabulary and sentence patterns to enrich your language. Surely, mastering this module will make you a master of Public Speaking. 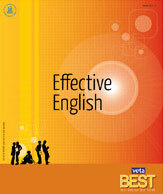 Veta Best English Self Tutor Pack is currently available in Hindi, Marathi, Gujarati, Kannada, Malayalam, Tamil and Telugu.